A brief description about Tabeeby: From Middle East Tabeeby has emerged connecting people to healthcare providers. Since then we succeeded in raising the medical and health awareness among the population, taking the charge and we are in the pole position. Recently, Tabeeby has been developed into a modern format following a comprehensive upgrade to become the first unique and true Health Social that ensures easy, swift and fast access to thousands of doctors, medical entities & Medical events. Tabeeby has been featured as a media partner and created a recognition in hundreds of Health and medical events across the world, promoting their activities across our platforms to thousands of healthcare providers and millions of visitors. Acknowledging that the foremost valuable treasure in life is good health, Tabeeby uses state-of-the-art technology and up-to-date social media innovations to highlight the concept of prime health in our daily life. 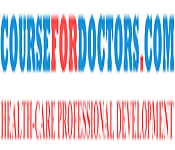 "CourseForDoctors.com is a platform that is dedicated to all medical doctors and allied health professionals who are looking to keep their knowledge up to date by finding the right educational sessions and getting the latest news updates in their field of practice. 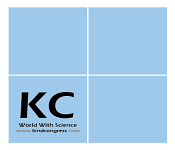 Our platform is open for advertising all healthcare related meetings, seminars, workshops, and conferences." 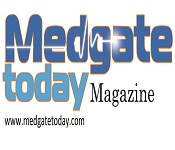 Medgate Today is the first of its kind "Health & Medical World" Magazine, initiated under the aegis of serious Health Writers dedicated towards the noble cause of enlightening the readers on various issues associated with health.